Our membership includes residents of both New Hampshire and Vermont, and activities occur in both states as well. All are welcome to attend our monthly Excom meetings, at which we discuss our future plans and much more. Our next meeting will be at 6:30 pm on Tuesday March 19 at the Howe Library in Hanover, NH. For website questions, please contact Peter Hope, phope@oxfordnetworks.net. This has become a major focus for the Sierra Club, both nationally and in New Hampshire and Vermont. We’d love for you to join us and learn more about the campaign! Please see our web page Ready For 100 . Nine years ago the Sierra Club Upper Valley Group helped Dartmouth College students organize their first “Moving Sale”. The plan involved “recycling” the usable materials that graduating students discard when they leave campus in June. Instead of trashing items into local landfills usable furniture and personal items, graduating students donated them to the Moving Sale. The items were collected, sorted, cleaned, priced and stored till the incoming freshman class arrived on campus in September. The annual program is now organized and managed by Dartmouth’s Office of Residential Life and its Sustainability Office. The week when new students arrive a one day sale makes these reusable materials available to new students. Every year since the program’s inception the Sierra Club Upper Valley Group has provided a dozen or so volunteer cashiers for the Moving Sale. The 2015 sale grossed over $17,000! Moving Sale proceeds are made available for student environmental organizations for use in funding “green” projects on and off campus. The photos below capture of the items readied for the ninth annual Moving Sale day in September, 2015 and a portion of the line of students – some with their checkbook bearing parents – awaiting the start of the sale. We very much enjoy forward to your sharing with us your current concerns about the world around us and suggestions for how we can individually and collectively address those issues. UVSC members share their interests as well as hearing from executive committee members about past and future UVSC activities. This year the event took place on Sunday February 10, at the Norwich Inn. The Upper Valley’s Women in Conservation speaker series resumed on March 21 at the Montshire Museum with two area authorities on sustainable food and nutrition: Laurie A. Ristino, Ph.D., director of the Center for Agriculture and Food Systems at Vermont Law School, and Certified Food for Life Instructor Beth Perera. The presentation was sponsored by the Student Conservation Association (SCA), the Sierra Club Upper Valley Group, and the Montshire Museum of Science. Ms. Ristino is the inaugural director of the Center for Agriculture and Food Systems, where she has built the most comprehensive law and policy program for sustainable food systems in the nation. She is an expert on farm bill conservation, environmental law and policy, and climate change, and regularly provides influential commentary on the role of law in the food movement, including the recent publication of A Changing Landscape: The Conservation Easement Reader by the Environmental Law Institute, co-authored with Jessica Jay. Prior to joining the Vermont Law School faculty, Ms. Ristino practiced environmental law at the U.S. Department of Agriculture (USDA) for 20 years. She holds a B.A. from the University of Michigan, a J.D. from the University of Iowa, an M.P.A. from George Mason University, and a Certificate in Executive Leadership from American University. Now in its second year, the Women in Conservation series features women from throughout the two-state region who influence our understanding of and interactions with the natural world. The programs offer area residents an opportunity to hear these women’s inspiring stories and draw from their leadership and stewardship. Previous Women in Conservation events have featured former Vermont Governor Madeleine Kunin, SCA Founding President Liz Putnam, Green Mountain Power President and CEO Mary Powell, Dartmouth College Professor of Environmental Studies Elizabeth Wilson, Marsh-Billings-Rockefeller National Historical Park Deputy Supt. Christina Marts, past national park Artist-in-Residence Joan Hoffmann, animal behavior expert Cheryl Asa, Ph.D., and educator Anna Morris of the Vermont Institute of Natural Science (VINS). This informative documentary film and panel discussion on clean energy was presented on Thursday August 23, at the Montshire Museum of Science, Norwich, VT.
Wildlife expert Cheryl Asa, PhD, and raptor specialist Anna Morris will shared inspiring stories. Cheryl Asa, Ph.D., a leading expert on endangered wolves and feral horses in the western U.S., and Anna Morris, an award-winning educator at the Vermont Institute of Natural Science (VINS), headlined the Upper Valley’s fall Women in Conservation event, which was sponsored by the Student Conservation Association (SCA), the Sierra Club Upper Valley Group, and the Montshire Museum of Science. Now in its second year, the acclaimed Women in Conservation series showcases women from throughout the two-state region who influence our understanding of and interactions with the natural world. The programs offer area residents an opportunity to hear these women’s inspiring stories and draw from their leadership and stewardship. Dr. Asa has nearly 30 years of research in comparative reproductive physiology and behavior of numerous species as Director of Research at the Saint Louis Zoo. She retired to Norwich, VT in 2016; however, the U.S. Fish and Wildlife Service continues to fund her work with endangered Mexican wolves, and she still serves as a scientific advisor for management of wild horses. Dr. Asa holds undergraduate degrees in zoology and psychology and a Ph.D. in endocrinology and reproductive physiology from the University of Wisconsin-Madison, where her graduate research focused on behavioral endocrinology of both horses and monkeys. Ms. Morris is the Lead Environmental Educator at VINS, where she teaches informal programs featuring native North American birds of prey. She has worked with wild birds at The Raptor Trust, The Cornell Raptor Program, and The World Center for Birds of Prey, and she studied Striated Caracaras in the Falkland Islands while completing her Master’s degree at Boise State University. Ms. Morris has won numerous awards and honors, and is a poet, photographer, and artist. We co-sponsored Join the third in our series of free public presentations on Women in Conservation! Christina Marts of the National Parks Service (NPS) and Joan Hoffmann author, artist and environmental advocate shared their stories and invited the audience to participate in the conversation. CHRISTINA MARTS is Deputy Superintendent of Marsh-Billings-Rockefeller National Historical Park in Woodstock, VT and Saint-Gaudens National Historic Site in Cornish, NH. She has served in the National Park Service for 17 years; in 2016 she formed part of a two-person NPS team opening the new Katahdin Woods and Waters National Monument in northern Maine. JOAN HOFFMANN paints impressionistic oil and watercolor landscapes en plein air. She is dedicated to painting, teaching, and preserving the wild landscapes that she explores. Her impressionistic oils evoke a poetic sense of place. She paints, teaches painting, and works to preserve nature in American public lands, National Parks, and wilderness areas. Sponsors: The Sierra Club Upper Valley Group; the Student Conservation Association; and the Montshire Museum of Science. Speakers were Mary Powell, Chief executive at Green Mt. Power, and Dr.Elizabeth Wilson, professor at Dartmouth and Director of the Arthur L. Irving Institute for Energy and Society. The Sierra Club, Sustainable Woodstock, and Pentangle Council of the Arts were thrilled to have the opportunity to screen the documentary “Age of Consequences” in Woodstock. The film, directed by Jared P. Scott, looks at climate change through the lens of the US military. “Through unflinching case-study analysis, distinguished admirals, generals and military veterans take us beyond the headlines of the conflict in Syria, the social unrest of the Arab Spring, the rise of radicalized groups like ISIS, border walls, and the European refugee crisis – and lay bare how climate change interacts with other socio-political factors to exacerbate societal tensions and spark conflict.” – PF Pictures. An international network of about fifteen environmental and social justice groups announced the start of a multi-state speaking tour featuring Roberta Benefiel director of the Grand Riverkeeper Labrador, Inc. and Amy Norman of Labrador Land Protectors. The MegaDams, MegaDamage tour aims to raise awareness about the negative cultural, environmental and financial impacts of hydroelectric power generated by megadams in Canada. Public events will be held in Halifax, Nova Scotia, Maine, Massachusetts, New York, Vermont, New Hampshire and Pennsylvania. Subsidized Canadian power companies are targeting new markets in the U.S. Multinational corporations propose a network of transmission corridors in Maine, Massachusetts, New Hampshire and New York to deliver the power hundreds of miles from remote areas of Canada. The transmission corridors are at various stages of permitting and include the Atlantic Link, New England Clean Energy Connect, Champlain Hudson Power Express, New England Clean Power Link, Vermont Green Line and the Northern Pass through New Hampshire’s White Mountain National Forest. State laws and programs classify electricity from these megadams as “clean” and say it helps stop climate change. The opposition groups say this is a myth. Over the past several decades, Canada’s electricity companies have dammed all but three of the country’s largest rivers. The MegaDams, MegaDamage tour will focus on Nalcor Corporation’s Muskrat Falls dam in Labrador, one of two proposed impoundment projects on the Grand River also known as the Churchill River. The second proposed dam on the Grand River is called Gull Island. The Muskrat Falls project (also known as the Lower Churchill project) is currently under construction. Long standing opposition to Canadian megadams intensified at Muskrat Falls in 2016. Just before flooding for the dam began, protesters went on hunger strikes and others were jailed for entering the construction site and shutting it down for 5 days. Resistance is ongoing. The Muskrat Falls megadam threatens all Labradorians, but it is particularly harmful to the livelihood, wellbeing, and even the lives of the Indigenous peoples of Labrador – the Innu, Inuit and Metis. Megadams flood huge swaths of boreal forest, wetlands, wildlife habitat, and destroy aquatic ecosystems. The flooding releases methyl-mercury, a neurotoxin, which bio-accumulates up the food chain contaminating lake trout, salmon, smelt, and seal, all considered extremely important food sources for northern communities. “We want to stop the Muskrat Falls mega-dam,” said Ms. Benefiel, “and make sure the Gull Island dam on this same river never sees the light of day. Politicians and policy makers on both sides of the border should pursue energy alternatives that provide long lasting local jobs with the least possible harm to our rivers, food sources and way of life, and that will not burden future generations with billions of dollars in costs. We are joining U.S. based public interest groups to raise awareness that state laws and programs incentivizing and promoting destructive Canadian hydropower as “clean” is not acceptable. The U.S. states can meet greenhouse gas emissions targets while helping the local economy, not huge multinational corporations,” Ms. Benefiel added. Amy Norman, a young Inuk woman and activist with Labrador Land Protectors will join part of the tour. Ms. Norman is a member of Nunatsiavut, the Innu self-government of Labrador and has family ties to the North West River and Nain. She will speak at the 48th National Day of Mourning in Plymouth, Massachusetts on Thanksgiving Day, an event organized by the United American Indians of New England. “Muskrat Falls threatens our very existence as Inuit,” said Ms. Norman. “It is poisoning our food webs, and contaminating the country foods we depend on, both physically and spiritually. It is forcing us to cut ties with the land. To continue this project knowing the damage it will cause is cultural genocide,” Ms. Norman stated. Sierra Club Upper Valley, Vital Communities, and members from 5 town energy committees organized an Upper Valley Electric Vehicle Expo during National Drive Electric Week. Co-sponsored by: Be Zero & the Sierra Club Upper Valley Group. We joined Olivia Lapierre in learning about the zero waste lifestyle movement. Olivia told us about how she transitioned to living zero waste, the benefits of reducing your waste, and the socio/cultural challenges of the lifestyle. In addition, she will told us why she believes that representation matters in climate activism. We learned some small and simple steps we can implement in our daily life! To inspire, educate, and activate individuals to dramatically reduce their individual plastic and trash footprint and to create simple and sustainable lifestyle habits. On Saturday June 3 we partnered with the national Park Service at the Trek to Taste event held at Marsh-Billings-Rockefeller National Historic Park in Woodstock(VT). Many people stopped at our table to learn more about the Sierra Club and our Group’s activities. On Saturday April 29 a number of us participated in this significant nation-wide event, in Washington, Montpelier and Concord. and co-spomsored by the Upper Valley Group of the Sierra Club. On April 12th at the Hanover Town Hall we cosponsored a forum including Michael Brune, the Executive Director of the Sierra Club! Cities and towns across the U.S. are transitioning to 100% renewable energy. We leaned much about this movement in the Upper Valley, n Hanover and beyond. Twenty five cities across the U.S. have committed to a goal of 100% renewable energy, including San Diego, Madison, WI, Abita Springs, LA, Georgetown, TX, San Francisco and Salt Lake City – and this number will continue to rapidly increase as cities embrace the opportunity to transition to a cleaner and healthier energy future. On May 9th, Hanover residents will be voting during their town meeting to commit to a goal of 100% renewable energy. Hanover will be the first of many towns in the Upper Valley to bring this to a town vote. Michael Brune, the Executive Director of the Sierra Club, the largest grassroots environmental organization in the country, was visiting Hanover next week to discuss Hanover’s upcoming town vote to commit to 100% renewable energy. He also be spoke about the nationwide transition to clean energy, and how cities are taking the lead on clean energy and climate action. Julia Griffin, the Town Manager of Hanover, NH, told us about what Hanover has already done to work toward a goal of 100% renewable energy, and what they will be doing in the future to support renewable energy and energy efficiency throughout the town. Julia also discussed Hanover’s upcoming May 9th, 2017 vote to commit to 100% renewable energy. On April 6 and 8 we had two Volunteer Nights, whose purposes included discussion of our current projects, writing letter to the Editor, submitting comments to the NH Public Utilities Commission regarding Liberty Utilities proposal to build a natural gas pipeline in Lebanon and Hanover, with LNG brought in by truck, and planning hoe to raise community support for 100% renewable energy in the Upper Valley, starting with Hanover. President Donald Trump has made statements and issued Presidential Executive Orders regarding Islam, Muslims and Arab immigrants to the US. A similar rhetoric has often been used to stigmatize people of Islamic faith. Therefore, there is an urgent need to understand the dynamic of cultural interactions that define Muslim communities and the way these interactions are used in domestic and international politics. Gender-related issues and radicalization of Muslims – and even science – are topics that frequent the headlines. Dr. Salman Hameed addressed these issues and took questions from the audience. Salman is a visiting Fellow with Dartmouth’s Institute for Cross-Disciplinary Engagement. He serves as the Charles Taylor Chair and Associate Professor of Integrated Science & Humanities and the Director of the Center for the Study of Science in Muslim Studies at Hampshire College in Amherst, MA. Sponsors included: The Institute for Cross-Disciplinary Engagement at Dartmouth; Sierra Club Upper Valley Group; Upper Valley Refugee Working Group; Department of Asian and Middle Eastern Languages and Literatures; Religion Department at Dartmouth; OTHERS (pending). Activists lobbied Congress concerning women’s reproductive health issues, particularly funding for developing countries. Presentation on rainwater retention, by Michal Kravčík, from Slovakia. Kent McFarland & Sara Zahendra, Vermont Center for EcostudiesAround the globe and right here in our own backyards, biologists have been buzzing about pollinator decline. From moths to native bumble bees and butterflies, some of these species have already disappeared. Who are the pollinators? Which species are in conservation trouble? What has caused these losses? A panel of local biologists who have studied pollinators discussed what the issues are and how we might reverse declining pollinator populations.Taylor Ricketts has examined the crossroads between pollinator decline and economics, and what we can do about it. With the help of corps of citizen scientists, biologists Kent McFarland and Sara Zahendra have studied bumble bee and butterfly populations across Vermont helping to inform land managers and decision-makers. They covered the causes and the implications of the decline, and how together we might help keep pollinators working across the landscape into the future. Co-sponsored by the Sierra Club Upper Valley Group. Dr. Cameron Wake is a Research Professor at the Institute for the Study of Earth, Oceans and Space at the University of New Hampshire and is the Josephine A. Lamprey Professor in Climate and Sustainability at the UNH Sustainability Institute. Cameron leads a research program investigating regional climate change through the analysis of ice core records and historical and instrumental data. Cameron also helps lead “Climate Solutions New England, lead a collaborative effort to secure healthy, prosperous, and sustainable communities through the pursuit of integrated solutions that include building energy self-reliance and weather resilience. Dr. Wake’s collaborative research on several regional climate assessments in the northeast United States has been shared with municipal, state, and federal agencies and representatives, has been covered widely in the media, and has been cited by several as motivation for policy action. In recognition of his engaged scholarship around the issue of climate change, Cameron was awarded the UNH Faculty Award of Excellence in Public Service in 2010. The presenters covered examples of financial savings and reduced energy consumption through renewable energy projects and energy efficiency. Representative Lee Oxenham, a member of the New Hampshire House Science, Technology and Energy Committee, joined us to update us on renewable energy and energy efficiency policies in NH. On February 28 this Climate Change documentary film was screened at the Woodstock Town Hall Theater. On Saturday January 21 Upper Valley Sierrans joined thousands of progressive citizens in the March in Montpelier. We need to stay active and ever-vigilant in this time of the Dark Force! On a recent Thursday we joined with members of the Vermont Sierra Club at a Woodstock Green Drinks evening – Fun was had by all! In How to Let Go of the World and Love All The Things Climate Can’t Change, Oscar Nominated director Josh Fox (GASLAND) continued in his deeply personal style, investigating climate. Traveling to 12 countries on 6 continents, the film acknowledged that it may be too late to stop some of the worst consequences and asks, “What is it that climate change can’t destroy? What is so deep within us that no calamity can take it away?” After the screening we had a lively discussion. The event was hosted by Sustainable Woodstock, The Upper Valley Sierra Club, VNRC, The Upper Valley Young Liberals, and Billings Farm and Museum. A very successful elebration in the Park and on the Woodstock Green, on October 15, with guided NPS hikes up Mt. Tom and Mt. Peg, with our UVSC Outings Leaders participation. The Sierra Club Upper Valley Group, Our Children, Climate, Faith Symposium and VT Interfaith Power & Light are collaborated on the annual conference, Deep Change for Climate Justice: Coalescing a Transformational Movement, held on Oct. 15 – 16, White River Junction. We joined with people from VT, NH, and beyond to connect and draw courage to do the work that’s needed, and to engage others to take action on global climate change!Registration is open. Three of us enjoyed an Adirondack jaunt this past Sunday. We first walked to the base of Roaring Brook Falls, a 520 foot cascade. There was but a trickle of water coming off it, so I am surprised we did not see rock climbers for whom this is a favorite multi-pitch climb. We then climbed to the Giant’s Washbowl, an attractive mountain tarn, beside which we lunched (sitting on comfortable pine needles). we were amazed to see a kayaker on the Washbowl – the portage up to it cannot have been easy! We then continued up the Giant’s Nubble, where there was finally a partial view. The fog / clouds prevented the usual wonderful views of the Great Range. And finally wee looped down to the start, where we feasted on the usual chocolate. As usual in the Adirondacks, we encountered eroded trails, but conditions were much better than I had experienced on the northern LT the Sunday before. On September 6 four of us braved the sporty Precipice Trail, in Marsh-Billings-Rockeller National Historic Park, Vermont’s only National Park.. We climbed from the Mansion up this fairly steep and somewhat rough route, with exposure that is protected by a cable, to the South Peak carriage road turn around, with its spectacular views. As of our celebration of NPS-100, on August 31 thirteen of us enjoyed a combined GMC- Sierra Club outing to New Hampshire’s only National Park, in Cornish(NH). We explored the attractive trails (which do need some maintenance), admiring the wetlands, the old stone bridge and Blow Me Down Mill. And afterwards we had time to admire the great art, especially the new Standing Lincoln, the original of which is in Chicago. August 13 – 11 am to 3 pm Boots to Boats River Splash! Kilowatt Park South in Wilder, VT. Co-sponsored by the National Park Service, L.L. Bean Outdoor Discovery School and Bold Paths Adventures, this free event offered participants the chance to try out a kayak or stand-up paddle board with certified instructors, learn fly-casting or spin-casting, and explore water safety principles and ecosystem health with our exhibitors. There were also land-based games and crafts for toddlers through teens. On August 3 four of us enjoyed a 2 mile walk in this lovely conserved area,\ in Hanover(NH). For much of the way we followed Lower Slade Brook, attractive even at low water levels. On June 26 six of us climbed North Pack Monadnock in Greenfield(NH), om another NPS-100 hike. Most of the route lies within the Wapack National Wildlife Refuge. We climbed Ted’s Trail and descended Carolyn’s Trail, on a very attractive loop. The company was great, and the views good! But it was hot! And the mosquitoes came out in force toward the end of the hike. But we all had a great time despite! On Wednesday May 25 at the Howe Library in Hanover we partnered with the League of Conservation Voters and other groups to present this free screening of this documentary film that tells of happenings in the expanding solar industry in the US and in China. Saturday April 30, 1 pm, on the Hanover Green This rally was organized as part of the build-up to Break Free week, a global wave of resistance to keep coal, oil and gas in the ground and transition to 100% renewable energy. Break Free from Fossil Fuels is the first mass global campaign, following the COP21 climate talks in Paris, to put pressure on governments to uphold their commitments in the Paris agreement. Break Free Week is being coordinated by a collaboration of international organizations, including 350.org. Divesting the endowment at Dartmouth from fossil fuels. Transitioning the Upper Valley to 100% renewable energy by 2050. Fighting the development of a liquefied natural gas depot in Lebanon and Hanover. Keeping all further fossil fuel infrastructure in the ground. The Sierra Club Upper Valley Group wass a co0-sponsor of this important event. How do we face difficult truths about climate change without retreat to denial or despair? How do we align local interests with the global necessity to address climate change? How do we act in urgency without compromising wisdom and compassion? On Friday the Keynote Address was given by Terry Tempest Williams, American author and conservationist; Provostial Fellow teaching at Dartmouth. This Sustainability Café eventwass brought to you by the Porter Family Fund for Sustainability in the Curriculum, the Dartmouth Sustainability Office, the Dartmouth Special Programs and Events Committee, Harmon Family Foundation, Upper Valley Sierra Club, Our Savior Lutheran Church, Dartmouth Zen Practice, White River Shambala Center, Wonderwell, and Valley Insight Meditation Community. 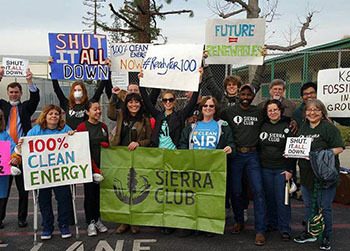 Many of you attended the community forums that were organized by Energy & Climate- Upper Valley, and co-sponsored by the Sierra Club Upper Valley Group. The October 2015 forum focused on concerns over the proposed Liquefied Natural Gas project in Lebanon and Hanover and the January 2016 event discussed our goal of a 100% Renewable Energy Future in the Upper Valley. The organizers of Energy & Climate were thrilled to see so many folks at the first public planning meeting on March 8th– with over 55 people in attendance! At this second meeting, the group built on the action planning that began during the March meeting, and continue to work toward Energy & Climate- Upper Valley’s mission. 1) We’re working to make the Upper Valley 100% renewable by 2050. 2) We want to prevent new fossil fuel infrastructure from being developed in the Upper Valley and we want to lend our support to groups around our broader region that are opposing the development of fossil fuel projects in their communities. On Monday February 15 (Mon.) Peter Hope led a very successful Outing on the newly opened Trescott Lands in Etna, NH. We hiked as loop trip from Dogford Road, passing historic sites on old Wolfeboro Road as well as viewpoints on the hills above the reservoirs. A great time was had by all! Our Upper Valley Group has decided to work with the Upper Valley Trails Alliance and the Hanover Conservancy on improving the trails on this conserved woodland. What Does a 100% Renewable Energy Future Look Like? Forum given on January 20, 7-9 pm, at Dartmouth College, Hanover, NH. Sponsored by the Sierra Club Upper Valley Group, the Department of Sustainability at Dartmouth, Sustainable Hanover, Energy and Climate Upper Valley, the Donnella Meadows Institute, NextGen Climate, and Dartmouth Club of Hanover..
We’ve read the book and had book discussions all over the Upper Valley, Vermont, NH and the world. We’ve learned about the causes, roadblocks and solutions for an environmentally safe planet. Now we have seen the film based on the book. This is the definitive book and film on Climate Change. Presentation given in White River Junction on Friday November 21. Is the Proposed Lebanon/ Hanover Gas Depot and Pipeline System a Bridge or a Barrier to a Clean Energy Future? On Sunday October 4 the Vermont Sierra Club sponsored a hike on what we hope will become Vermont’s newest State Forest. 3 Sierra Club Leaders from our Upper Valley Group were among the participants. Even though much of the land has been logged over, the property remains very special. Highlights include good views of Mendon and Bald Peaks from open uplands, as well as an attractive trail along lovely Mendon Brook. For details of the preservation plan, Jim Jefford State Forest poster. And to help out, you may contact the Trust for Public Land. As part of the ECO-visions art project, guest author Judith Nies gave her a very informative talk about the water and oil problems out west, which are discussed in her recent book, Unreal City. This was at the Norman Williams Library in Woodstock, VT, on Thursday October 1. “Bird-dogging” refers to attending public forums for presidential candidates and asking relevant questions to get the candidates “on record” on the important policy issues we face. This does not involve “civil disobedience”; rather we respectfully pose diplomatically phrased questions seeking concrete, relevant responses. We had a Training session for this in West Lebanon on September 10. This program was held on September 15 at the Montshire Museum. Free screening of this important documentary film for everyone who cares about saving our planet and the life on it. Learn what is truly the #1 cause of climate change, global warming, ocean dead zones, deforestation, species extinction, and destruction of our natural resources. When our rain forests are gone and our oceans are empty, nothing else will matter. We still have time to recover, but not much time. The time to educate yourself and ACT is now. This was shown in West Lebanon on June 16 last year. View the trailer here: www.Cowspiracy.com. A documentary film exploring the complexity of the Northern Pass Project, by New Hampshire conservation photographer and filmmaker Jerry Monkman, at the Montshire Museum in Norwich(VT) , shown last May. Kelly McGlinchey & Leehi Yona reflected on their experience as youth delegates at the UN Climate Change Conference in Lima, Peru. Dartmouth College and Howe Library, Hanover(NH) , May of 2015. Free public lecture by Mary Albert, PhD, of the Thayer School of Engineering at Dartmouth, who heads the US Ice Drilling Project. She discused what ice cores from Greenland and from Antarctica tell us about our changing climate, as well as ways in which we can mitigate the ill effects. April 2015. An all day program at Vermont Law School, with the morning devoted to the problems facing honeybees, and with the afternoon to a discussion of native pollinators. April 2015. The Appalachian Trail Conservancy New England staff and a Vt. Center for EcoStudies staff discussed how the Appalachian Trail offers a means to conserve wildlife habitat. Howe Library, March of 2015, with ten co-sponsors. Lecture by Charlie Berger, DVM. Part of Arctic Alaska Wilderness Week. VINS, February 2015. Sierra co-sponsored this with the Alaska Wilderness League as part of Arctic Alaska Wilderness Week in the Upper Valley. Montshire Museum, also last February. This book describes the rapid changes in our science-based understanding of climate disruption and the costs and consequences of climate change. Howe Library, February 2015. Book Discussion, Bugbee Senior Center, WRJ, January last year.